You can learn more about how to use Laravel Voyager by using and inspecting the code from the projects built below. Create your own Viral Geek Shop Website with this script. You can create a site like thisiswhyimbroke.com and other popular product affiliate sites. 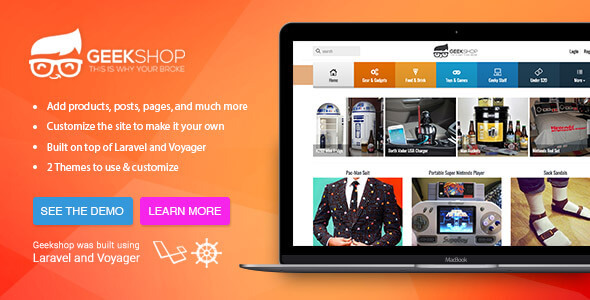 Geekshop is built with Laravel and Voyager. Create your own Media Sharing Site! 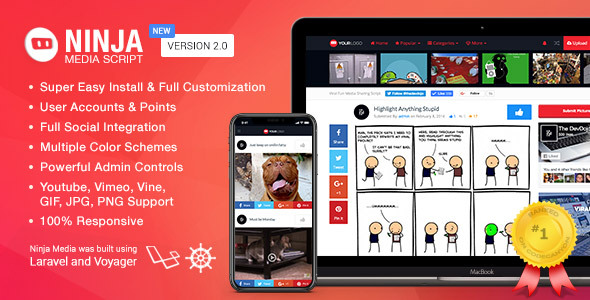 Add unlimited pages, images, videos, gifs, etc... Loaded with themes and functionality to make it your own. Built using the latest version of Laravel Voyager. 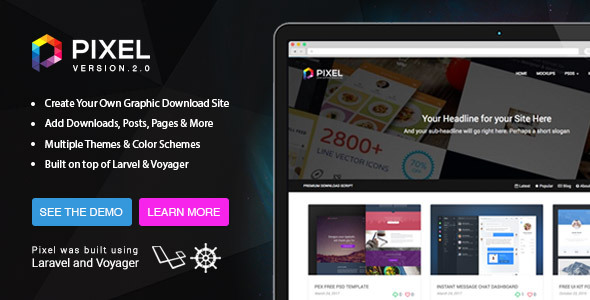 Using Pixel you can create your own download script where users can download PSD’s, Zip files, and any other kind of graphic file from your site. Pixel was built on top of Laravel 5.4 and Voyager. Contact Me to have your project displayed here.